One of the main differences between studying at an undergraduate level in comparison to a postgraduate level is the amount of self-study and self-motivation it requires. That alone is arguably an assessment in itself. If you are anything like I am, positivity and self-motivation is a genuine struggle. I want to achieve so many things, but finding the inner push to do so can be challenging. Ironically, as I sit for the 5th time today writing this, I wanted the topic of this blog to be all about motivation. To discuss the drive to remain positive about choosing to study a postgraduate degree. 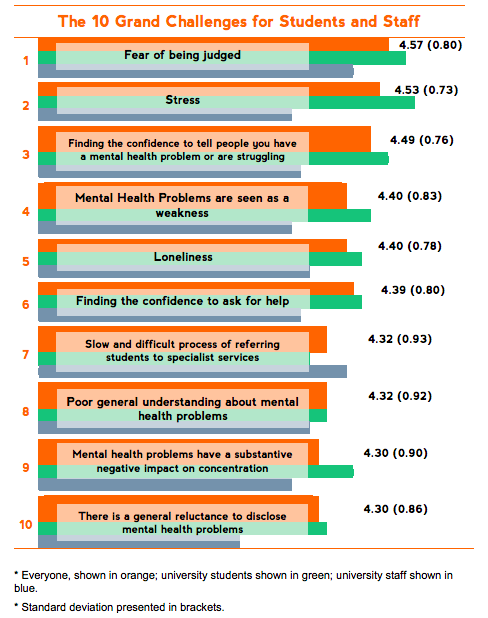 A 2014 survey by the charity Student Minds found that stress was the second most commonly cited challenge to mental health among students. Postgraduates are being encouraged to seek the support they need. When I decided to study Digital Marketing, I really was completely naive to how fast-paced the industry is and how fast-paced learning the different aspects of it was going to be. I certainly underestimated the importance of teaching yourself to self-study. Sometimes I still feel overwhelmed by the unspoken pressure of it. Master’s students can put a lot of pressure on themselves and become perfectionists. The resources put in place by the MSC Digital Marketing lecturers and course leaders are extremely reassuring. Any anxiety, stress, or worries you may have, they can be worked through. When I have struggled with my mental health, anxiety, stress or postgraduate pressure through-out, I have 4 main tips on how I cope. I want to share these with anybody that has any concerns about not studying a postgraduate due to the pressure they may feel. This is a point I really struggled to come to terms with. Students on postgraduate courses are generally there because they did well in their undergraduate degree. They have high expectations of success at postgraduate level. I didn’t know one single thing about even the term Digital Marketing before beginning this course. It can be extremely intimidating when you think you are walking into a room of new people that already know so much more than you. (Spoiler alert, they don’t all already know so much more than you do). Not understanding a new topic doesn’t mean you are a failure, or that you won’t succeed. It means that you are human and that you are learning. It’s all part of the process. Nobody goes through life completely understanding everything new without failures along the way. While coping with this pressure isn’t easy, spending punishing hours in the library isn’t the solution. Luckily one of most enjoyable aspects about postgraduate degrees is the opportunity for building friendships with others. The social side of masters can be something students find difficult at the start. Then you realise everyone is in the same position. Having a good support system is extremely important for all aspects of life and dealing with stress. I cannot speak louder about how amazing the staff and support system within the university has been. Suddenly something that felt very isolating to understand or difficult was being tackled by a group of us. It is comforting to have friends to share skills and knowledge with. Getting that space away from academia is vital. It helps you think more clearly, which will help you do better. While the university is important, so is your own well being and freedom. Whether this is exercising, societies and clubs or any volunteering. Do whatever you love and remind yourself why you love it. It is almost inevitable that during the year there will periods that will be stressful. However, if stress is acknowledged and managed, it can help with personal growth. 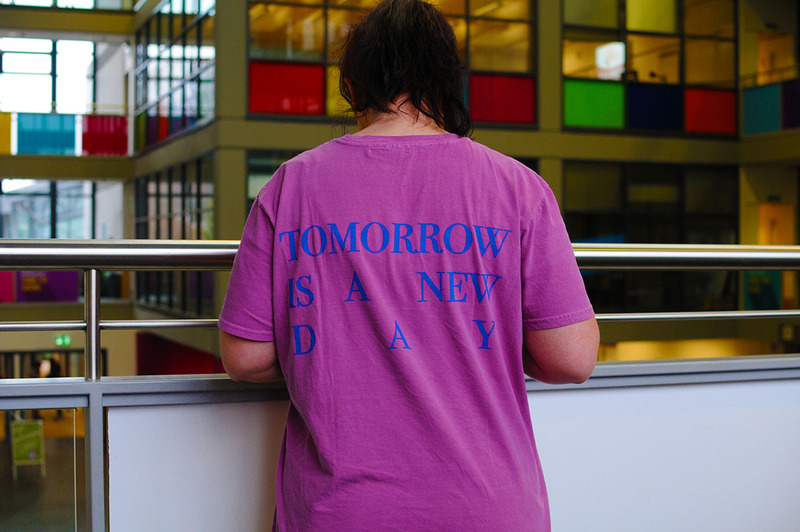 Every postgraduate student will have their own reasons and goals they are reaching for. It’s not a competition of achievements and intelligence and don’t let that belittle you. Remember to look after yourself. Remember your ambitions, and remember after the struggle, it will be worth it. Failures make you human, struggles help strengthen you.